April 5, 2018 - by Author - 2 Comments. Kalachakra Dasa was originally taught by Lord Shiva to Mother Parvati and that conversation was later recounted by Maharshi Parasara to his disciple Maitreya. 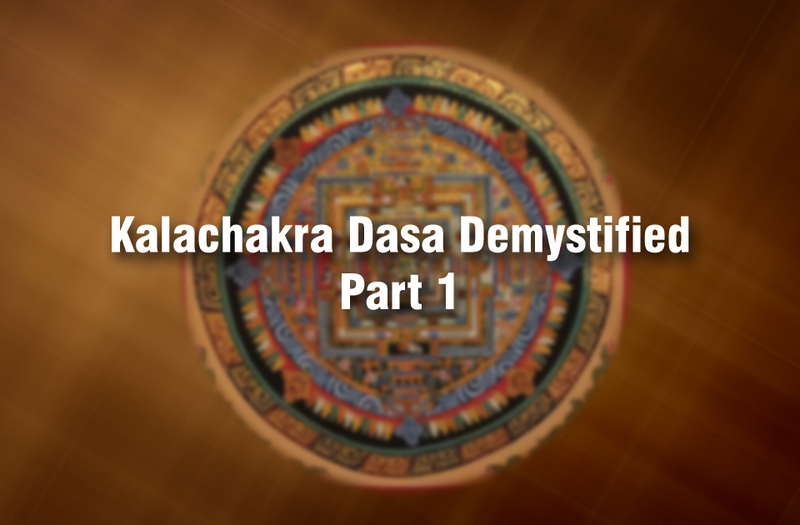 Parasara described Kalachakra Dasa as Maanyaa sarvadashaasu yaa or that which is the most acceptable of all Dasas. The Navamsa signs used in Kalachakra Dasa are slightly different from standard Navamsa signs. The definition of Navamsa Rasis corresponding to each Nakshatra Pada is the key to Kalachakra Dasa definition. First 3 Nakshatras (Aswini, Bharani, Krittika) are placed in the Savya group. 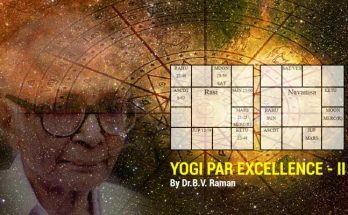 The ext 3 Nakshatras (Rohini, Mrigasira, Aridra) are placed in the Apasavya group. The 3 Nakshatras thereafter are placed in Savya group. And so on as shown in Table I. Let me give a few relevant definitions before defining Navamsa Rasis of Nakshatra Padas. Mirrored Signs: Mirrored sign of a sign is the other sign owned by the same planet. To give examples, Aries & Scorpio are mirrored signs; Taurus & Libra are mirrored signs; Capricorn and Aquarius are mirrored signs; and so on. But Cancer is its own mirrored sign as also Leo (as the Moon and the Sun own only one sign each). 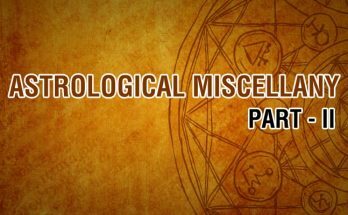 Apasavya Chakra (Irregular Zodiac): The Irregular Zodiac is formed by the mirrored signs of the signs that form the Zodiac. While the Zodiac goes as Aries, Taurus, Gemini etc., the Irregular Zodiac goes as Scorpio, Libra, Virgo etc. 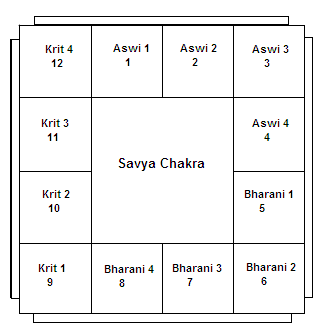 Navamsas in Savya Chakra: If we take each set of 3 Nakshatras in Savya Chakra (e.g. Aswini, Bharani and Krittika), they form 3×4=12 Nakshatra Padas. They are mapped to the regular Zodiac, as in the standard Navamsa chart as shown in Figure 1. 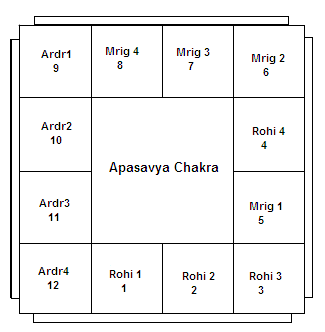 Navamsas in Apasavya Chakra: If we take each set of 3 Nakshatras in Apasavya group (e.g.Rohini, Mrigasira and Aridra), they form 3×4=12 Nakshatra Padas. They pre-mapped to the Apasavya Chakra, i.e. – Scorpio, Libra, Virgo, Cancer, Leo, Gemini, Taurus, Aries, Pisces, Aquarius, Capricorn and Sagittarius as shown in Figure 2. In Vimshottari Dasa, we map each Nakshatra to a planet. Depending on the Nakshatra occupied by the birth Moon, we find the first Dasa. The next Dasa is of the planet corresponding to the next Nakshatra and so on. Controversy One: One is whether the balance of Dasa applies to the first Dasa of the sequence or the entire cycle. 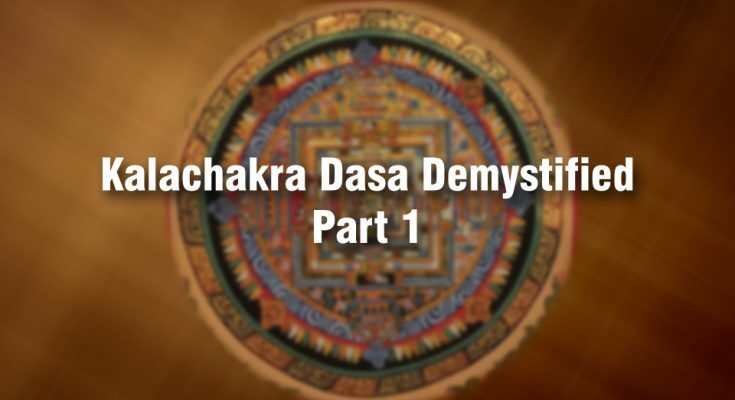 As each sequence corresponds to one Pada, some scholars argue that the balance of Dasa applies to the entire cycle. Some argue that it only applies to the first Dasa, like in Vimshottari Dasa. Controversy Two: The other controversy is about what happens at the end of a sequence and is particularly important if we apply the balance of Dasa to the entire sequence. Suppose someone is born towards the end of Aswini 1st Pada and Sagittarius Dasa is running at birth. Do we go back to the first Dasa of the sequence and get Aries Dasa after Sagittarius Dasa or progress to the next sequence (of Aswini 2nd Pada) and get Capricorn Dasa after Sagittarius Dasa? If you extend these questions to Bhuktis, there are more permutations and combinations. Learned scholars have given different interpretations and there is no consensus. The years of 9 signs starting from the Navamsa sign at the time of a person’s birth (or Prasna, i.e. query) are termed as one’s life span. From this, one can clearly deduce that Dasas belong to 9 Navamsa signs starting from the Navamsa sign corresponding to the Nakshatra Pada of the Moon. 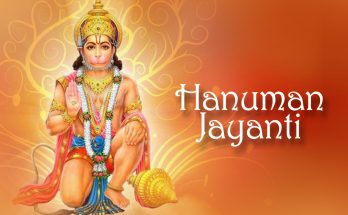 Suppose one is born in Bharani 3rd Pada. Its Navamsa sign is Libra. So, that is the first Dasa. Starting from it, the Navamsa signs of 9 Nakshatra Padas are Libra (Bharani 3rd), Scorpio (Bharani 4th), Saggitarius (Krittika 1st), Capricorn (Krittika 2nd), Aquarius (Krittika 3rd), Pisces (Krittika 4th), Scorpio (Rohini 1st), Libra (Rohini 2nd) and Virgo (Rohini 3rd). So those are the Dasas. Thus, just as Vimshottari Dasa is a progression of the Moon’s Nakshatra, Kalachakra Dasa is a progression of the Moon’s Nakshatra Pada! Now, what about those elaborate sequences are given by Parasara for each Nakshatra Pada? I would suggest that those are actually for finding Antardasas or Bhuktis and not for Dasas! The Dasas are simply derived by taking 9 Navamsa signs of the 9 Nakshatra Padas from where the Moon is. If one looks at the sequences given by Parasara for each Nakshatra Pada, one can see that those are the signs corresponding to Navamsas within Navamsas. For example, Aswini 2nd Pada corresponds to the Navamsa sign of Taurus. If we take that as Rasi and find further Navamsas in it, we get Krittika 2nd – 4th, Rohini lst – 4th and Mrigasira 1st and 2nd. Finding the Navamsa Rasis corresponding to those 9 Padas, we get Capricorn, Aquarius, Pisces, Scorpio, Libra, Virgo, Cancer, Leo and Virgo. That is indeed the sequence Parasara gave for Aswini 2nd Pada. One can verify this for all Nakshatra Padas. The bottomline is that what the scholars thought were the Dasa sequences were actually Bhukti sequences. Parasara explicitly listed them because you find Navamsas within Navamsas and it is a bit tricky with some Nakshatra Padas being in Savya Chakra and some being in Apasavya Chakra. Thank You for visiting our blog. We are so glad to hear from you. Please visit our blog regularly for new astrology topics.